After Palm announced terrible quartery results, the press is doubting their survival as a company. 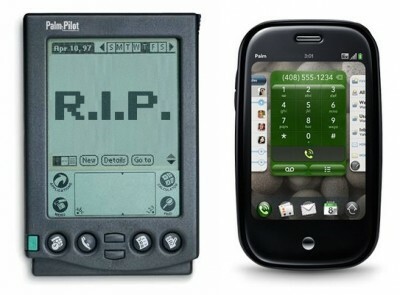 This is a shame, because in today’s smartphone world, it seems to me that Palm’s WebOS/Pre is the best product in the market after the iPhone. Blackberries feel like Windows 3.1: ugly, outdated, unusable. I don’t understand why people love them so much. Windows Mobile attempts to cram a desktop UI into a 3 inch screen. My friend Luis had one and it took him 20 minutes to look anything up in the web. Android phones are like Linux: powerful, but only a techie could use it, if he wants to deal with the pain. I haven’t used a Nokia smartphone in years so I don’t know. Just announced, coming to AT&T, will this save them? By Jean Louis Gassée, who has a very interesting story both similar and related to Palm’s with Be Inc. – so he has the experience. By Jon Stokes, a very smart writer, although specializes in processors – not business – from Ars Technica. I agree, Microsoft doesn’t get it, the Start button should have an End in their mobile platforms.